The clothing of tomorrow may very well be plastic and come from a printer. Avant-garde fashion collective, threeASFOUR, flaunted their new 3D printed dress at the New York Fashion Week Spring/Summer 2017. 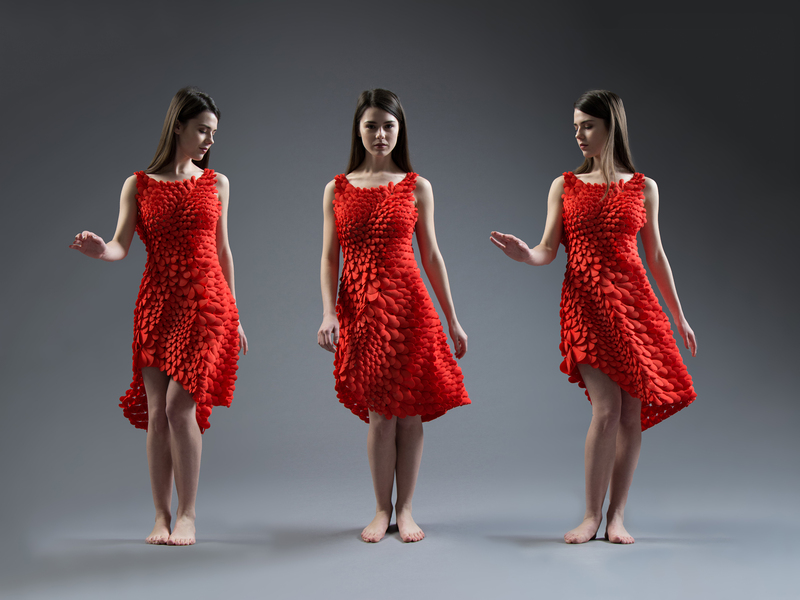 The intricate dress designs are a collaboration of threeASFOUR and designer Travis Fitch, and Stratasys, a 3D printing company took over the printing of the dresses. This particular dress in question is composed of 30 separate multi-material, multi-color 3D printed parts, assembled from 270 design files. With the success of the 3D printed dress, it may not be long before designers begin mass producing this type of apparel. Even further into the future, we could be printing our own clothing at home. Have nothing to wear? Go and print something, quick! 3D printing is truly one avenue of the future of fashion. It may seem industrial, at times. But the dresses look anything but. In fact, they’re quite pretty. “I think it’s going to alter the fashion industry enormously — and in ways we can’t even start to imagine yet,” said Asfour.